Obstacle courses scare the crap out of me! I have little to no upper body strength so whenever I have the opportunity to sign up for an obstacle run I go for it ... but with a lot of fear! In July 2013, I completed the Urban RAID Boston obstacle race with these lovely ladies above. I was psyched after that race. We had a great time with lots of laughs and I managed to tackle each and every obstacle on the course. I was worried and shaky on a couple, but I pushed through and did it. Now they weren't Tough Mudder or Spartan Race type obstacles, but for me they were nerve-wracking. 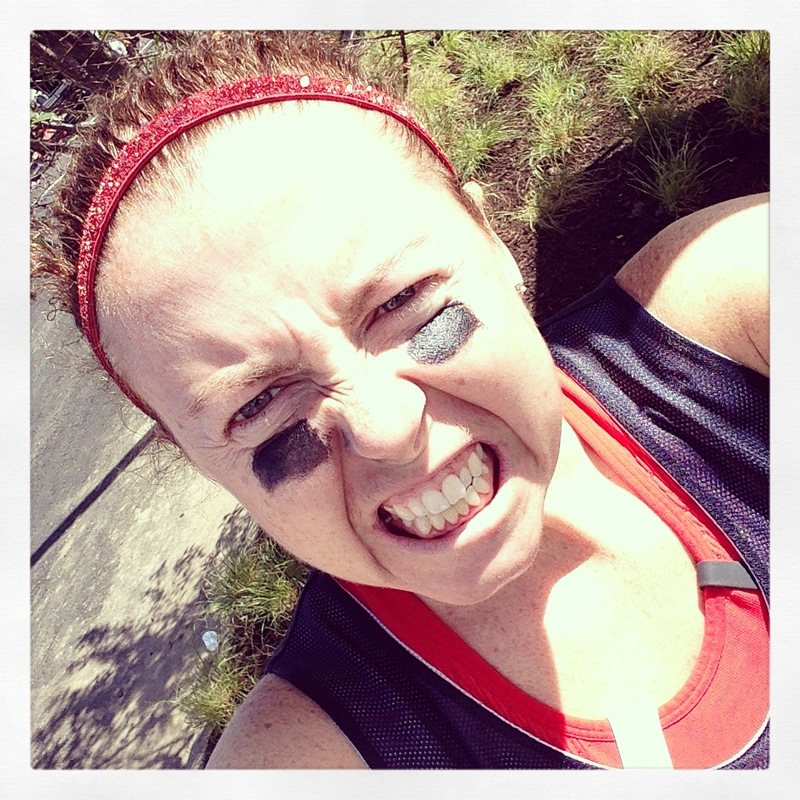 Flash forward to this past weekend and enter the Rock and Run Boston obstacle 5k at Assembly Row in Somerville. This was actually put on by the same company that organized Urban RAID Boston. When I was offered a complimentary entry for a friend and myself, I couldn't turn it down. The race was literally across the street from my neighborhood and I was ready for the challenge. We headed over to the pre-race area where Polar Springs and Yasso Frozen Greek Yogurt Bars were handing out samples. The DJs from 92.9 were pumping up the crowd, while Kel and I tried to shake off the pre-race jitters. Remember obstacle course races freak me out!! Why of course pre-race pictures help squash the nerves! Plus a little eye black goes a looong way. There were three waves ahead of ours. They were sending the first groups by gender and age. So 2 waves of guys then 2 waves of ladies before the teams would take off. It was finally our time! The butterflies were coming out of my stomach and up through my throat. I just tried to focus on how much fun Kel and I would have together and push the fear out of the way. I had made it through all the obstacles the previous year - I would do it this time too. The countdown started - 10 ... 9 ... 8 ... 7 ... 6 ... 5 ... 4 ... 3 ... 2 ... 1! And we were off with our other Females 30-39. I regret leaving my phone with the wife now. I could've tucked it into my shorts during the obstacles. Next time. We started out on the course and got into a little running rhythm. I have done a 5k around Assembly Row before so I am used to the inclines and downhills. We came across our first obstacle - Cone Bar Hurdles, which was hopping or walking over a PVC pipe laid across traffic cones. An easy way to check off the first obstacle. Once over these hurdles, we encountered our first BAND stop. Nice little addition to the course. After Kel and I conquered the first three obstacles, we came across the first Mile marker. Wow, that happened quickly. We continued along Assembly Row to the Monkey Bars and Chainlink Crawl. I almost bit it on the Monkey Bars with one to go, but thankfully I took a deep breath and regained the flow. I wanted to say something to the woman behind me who couldn't wait a moment for me to finish and came up behind me when I stopped for a moment. Next time lady give the person in front of you space. It's not like we were all fighting to win the race. But anyway, the Chainlink Crawl was made of chainlink fences attached to the top of traffic cones. Rock and Run was nice enough to put this crawling obstacle on a grassy part of the course. Much appreciated! We had a break from the obstacles as we twisted our way through Assembly Row to the waterfront. It was a welcomed breeze and a much-needed water stop. It was hot and sunny so the water was refreshing. This path along the water is part of my normal running path so I liked the familiarity of that. As we hit the turnaround point of this little out and back, there was the Mile 2 marker to greet us. 2/3 of the way there.... and the next obstacles. The Agility Tunnel was a quick crawl through a big plastic pip cut in half. Easy peezy. We had already tackled over two miles and 7 of the 11 obstacles. The second band - a solo guy - was rocking some country tunes. A little Taylor Swift if memory served me correctly. We were instructed to meet a volunteer in a green shirt at the base of the parking garage. We were instructed to run up the five floors to the top of the garage where our next obstacle awaited us. It felt like Amazing Race a little. After dropping the pack, we went got to run back down the five floors to the street. Wow! We were just two obstacles away from the Finish. We hit the Street and could see the Finish area. We had less than a 1/4 mile to go. As we entered the Finish Area, we spotted the Mile 3 marker. What stood between us and the Finish? Oh just a Cargo Climb and the Finish Wall. And just like that it was over. Kel and I finished hand in hand. Woo! I love a good Finish Line. Now I didn't have any race photos, but the wife is the best and put together a little video of what she saw us accomplish during the race. Check it out! 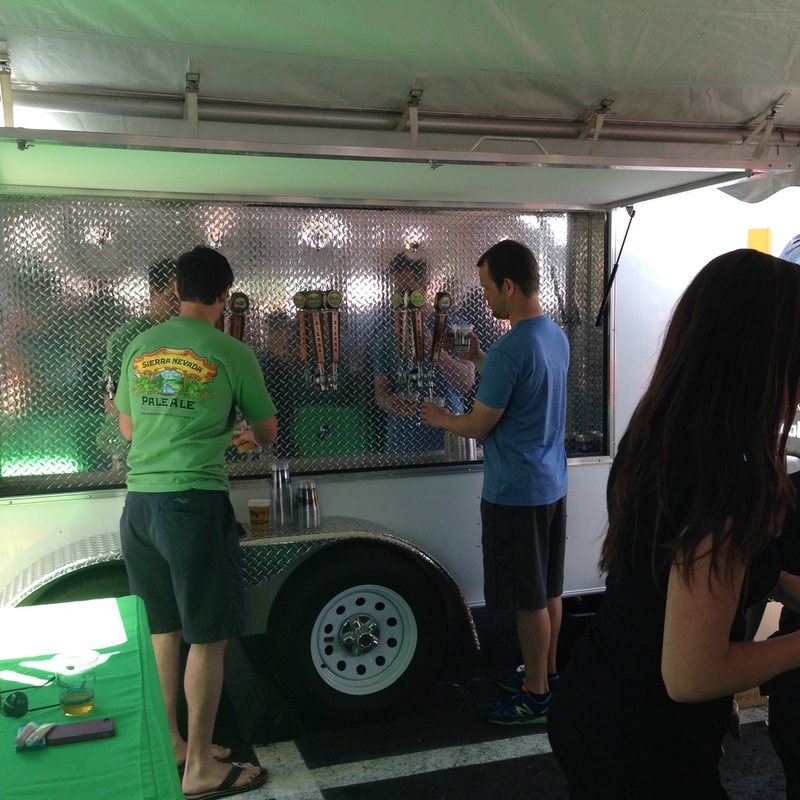 You know I finished and headed straight to the Sierra Nevada Beer Garden for my post-race brew. But the crowd looked happy and enjoying the festivities. I'm so proud of Kel for pushing through this race. I could tell she wasn't happy during points of it, but she didn't give up. She pushed a bad experience on the Monkey Bars behind her and powered through. We didn't do too shabby in the rankings either. 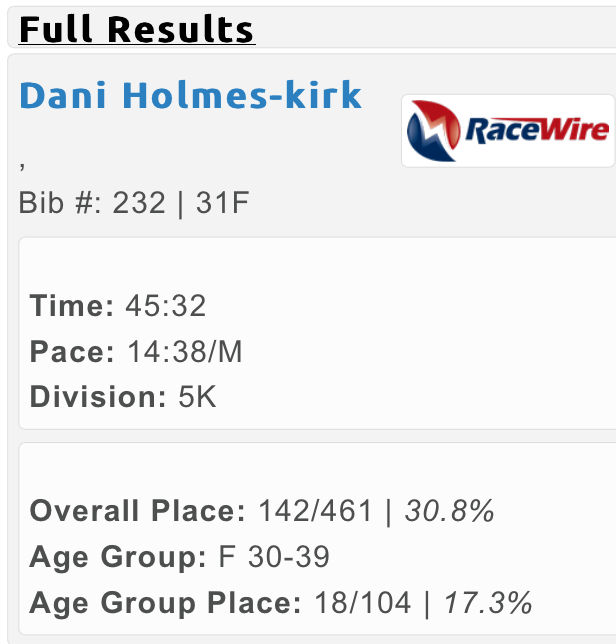 Overall the race was a fun way to spend a Saturday morning and I love a race close to my house. :) It was well-organized with great volunteers. I wish the shirt was a tech shirt rather than a cotton t-shirt. Especially since folks were paying $65-70 for the race. I know this was the first year it took place at Assembly Row so I think the organizers will take the feedback from the participants and improve for next year. I would definitely recommend this course for all fitness levels. It really worked to make everyone feel comfortable and the volunteers at the obstacles were encouraging and ready to lend a helping hand if needed. So yeah I rocked and ran through Boston Somerville! Did you take part in this inaugural Rock and Run race?